Other than reading this book for the 2013 Nicholas Sparks Reading Challenge, I could not have read this novel at a more inopportune time. After making it a few chapters in, I discovered that this was the sequel to another book, True Believer. (I dislike reading books/series out of order.) Almost immediately the audience realizes that Jeremy and Lexie are rushing a marriage because of an unplanned pregnancy. Throughout the entire story we’re experiencing the whole journey of pregnancy – and I do mean the whole journey. If you know me – or have even read some other posts – you’ll know that this isn’t really my idea of a good time. For all this, I’m going to avoid giving any opinion on the book. I would no doubt be biased. But because I struggled through it so, I’m going to reveal the biggest spoiler of the entire novel (and possibly even its predecessor). You better look away now. 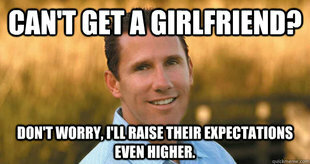 Romance should be every lady’s weakness, right? Eh, well, if not, it definitely becomes such when one brings the writing of Nicholas Sparks into the picture. I hope the fellas find just as much intimacy and longing in his words as us ladies do. And it is my wish that his stories don’t seem too romantic or unrealistic, because why shouldn’t that kind of love be realistic? I actually read The Lucky One after seeing the film with Zac Efron and Taylor Schilling. For me, the real star of the movie was Blythe Dannar as Nana. It did make me realize that Zac Efron is no longer an adolescent. 😉 And how stunning is Taylor? Jumping into the pages, I knew there would be some dissimilarities, but all in all no big surprises. Logan Thibault (it’s French) is a Marine on a lucky streak. Returning safely from several tours in Iraq and winning quite a bit of gambling money, the reason for this luck appears to be a photograph found in the desert sand. Upon his return to the U.S., Logan eventually sets out to find the lady in the photo and comes across Beth, her son Ben, and her mother, Nana. The rest is history. Although the quick read is nothing extraordinary, it is still a little heartwarming. I recommend reading the book before seeing the movie. However I do love that Sparks tells, at least part of the romance from the male counterpart’s perspective. A feature I generally am enthralled with in the rest of his novels as well. The Lucky One didn’t make me cry tears of joy or sorrow, or scream and fist-pump the air (normal signs of a great romance), but I’m always looking forward to his next piece of work. Plus, I got to add one to my list for the Nicholas Sparks Reading Challenge in 2013. 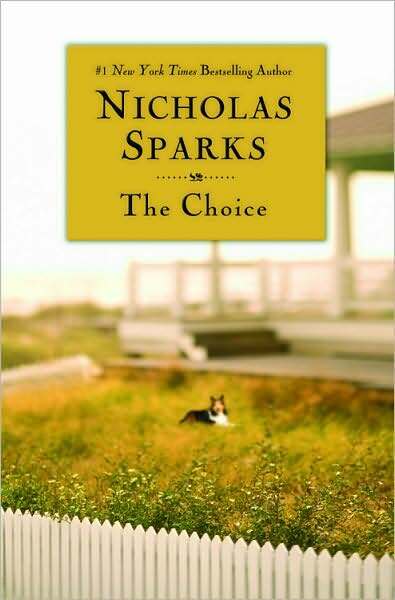 As I’ve mentioned before, reading Nicholas Sparks is a bit of an adjustment following Tolstoy and even Martin. What I do love about his books is that they’re easy to read – meaning the audience barely notices they are flying through the pages. You expect a love story and you experience the characters falling in love. Once you’re sure it’s happily ever after, tragedy strikes. You try to brace yourself for it, but it still hits you. Hard. But just like the characters, you dive in anyway because you know it’s going to be extraordinary. Once Travis comes back to reality from his vivid recollections, his troubles are still waiting for him at the hospital. The decision he has to make just might break his heart – and yours. I will tell you that I may or may not have shed a single tear myself. By the end, I didn’t care that I wasn’t reading Martin or Tolstoy. I was too wrapped up hoping my love story ends up as great as this one. 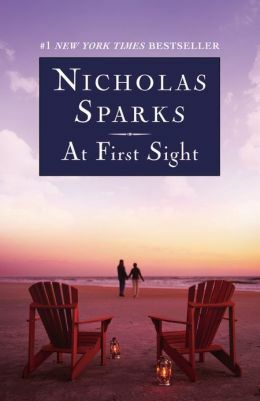 Check out the Nicholas Sparks reading challenge I’m doing this year – and join me!